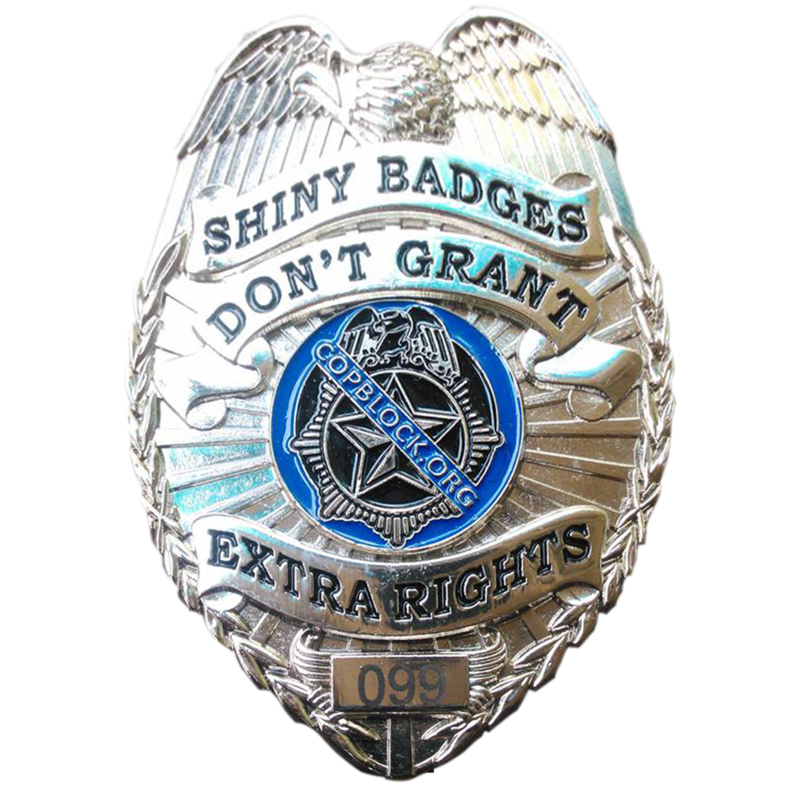 3″ x 2″ – Individually numbered, and modeled on the Keene, NH police badge. 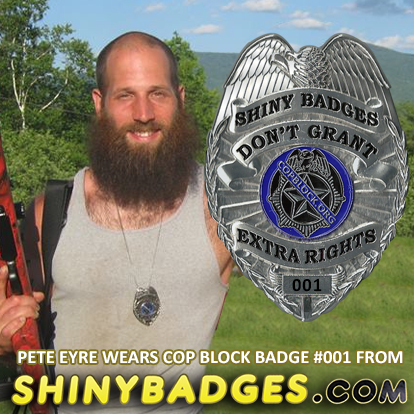 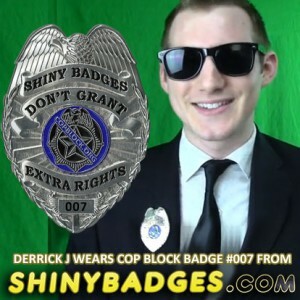 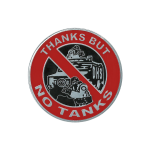 Banners read, “Shiny Badges Don’t Grant Extra Rights” Plus $10 from every purchase will be donated to Cop Block. It’s all fun and games until somebody gets hurt. 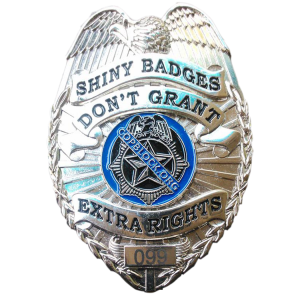 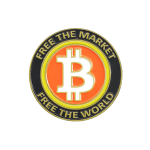 The badge will get some strange looks, and probably start some great conversations, but it’s important that you don’t threaten people. I guess what I’m saying is, don’t dress like a cop. 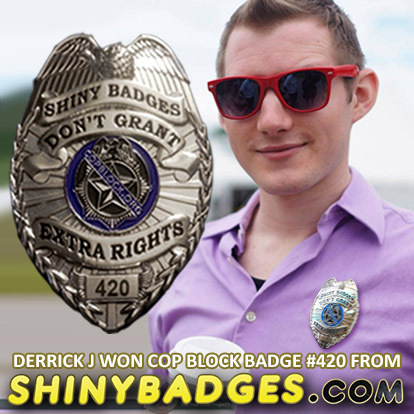 Cops aren’t cool. To request a specific number go to CopBlock.org/store.